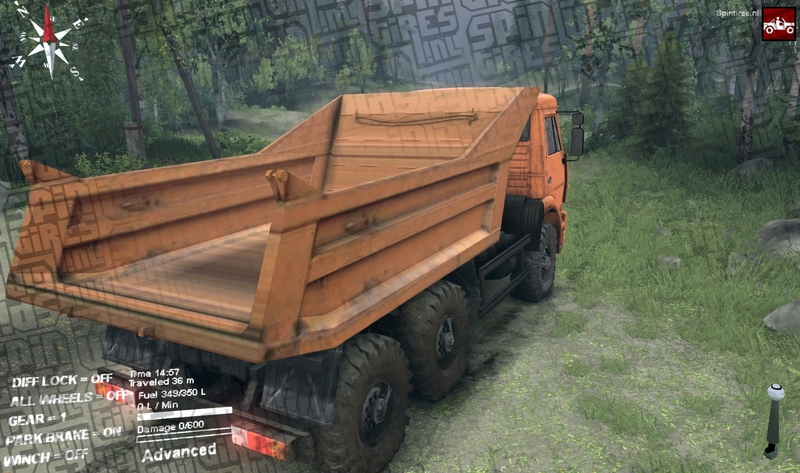 Copyright Kamaz 53212 (box): Lexan. 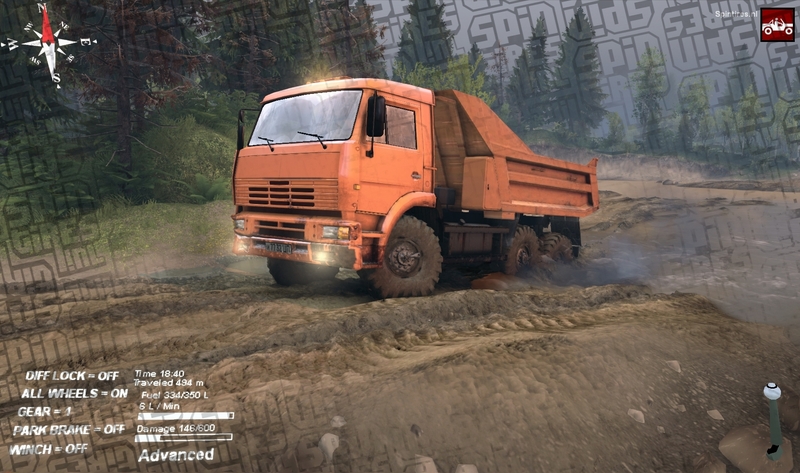 Copyright Kamaz 45143 (box): Lexan, T-150, dimaks, KAMAZIST89, DRONKLIM, RusAGROteH. Copyright envelope Spin Tires 2014: Arthur Vomov (ziG). 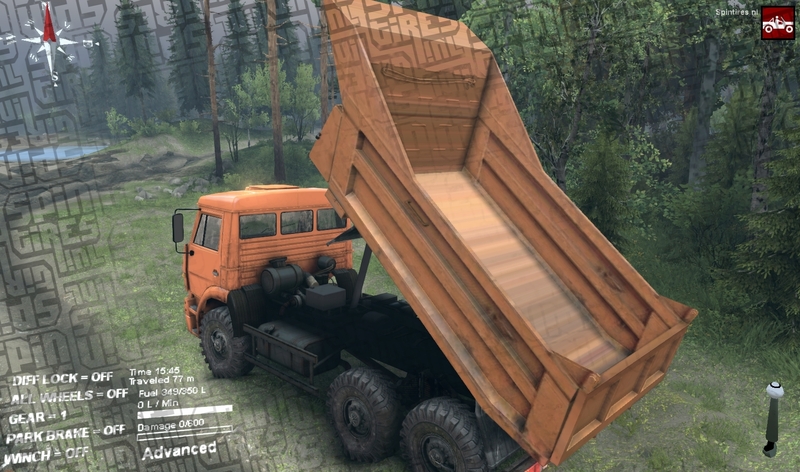 This addon mod gives you three boxes to add to the Kamaz. Two smaller ones, one with a gate and one without. And one sideways offloading box. 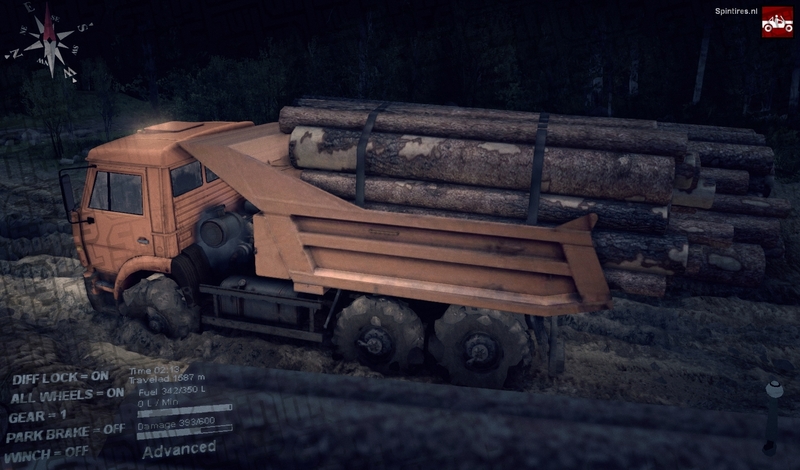 The one without tailgate can load short logs.It does support MP but not achievements. Every time i've downloaded thismod the dump beds are all black, not color matched, like in the the pictures. No clue. I downloaded it and it worked for me. 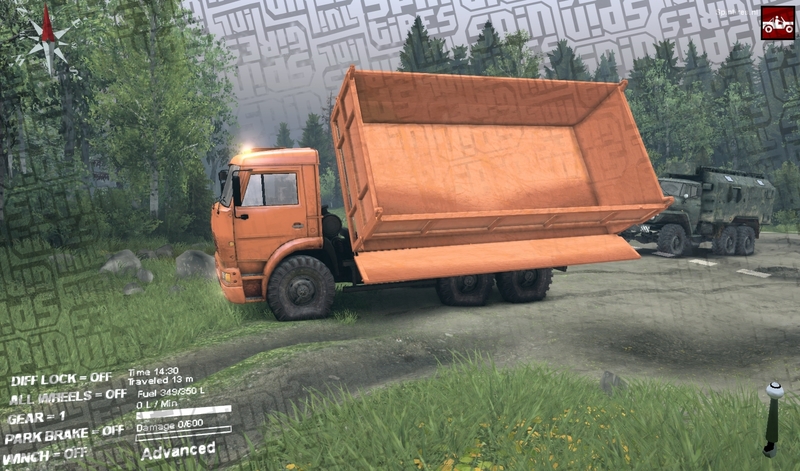 Maybe clearing your %appdata% spintires folder is nescesary. January 25, 2015 Converted to the latest xml and filename standard. Test ok.